Vote What Car? 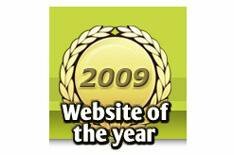 in website of the year | What Car? Whatcar.com has been nominated for the best automotive website in the Website of the Year awards, and we need your votes to win. The awards are where the British public can vote for their favourite websites over a whole range of categories. Voters are asked to rate the site's design, content and navigation, and whether they would recommend the website to other people.